Each year I design a layout to showcase the Designer of the month blocks. Everyone this year added black and white to their blocks. 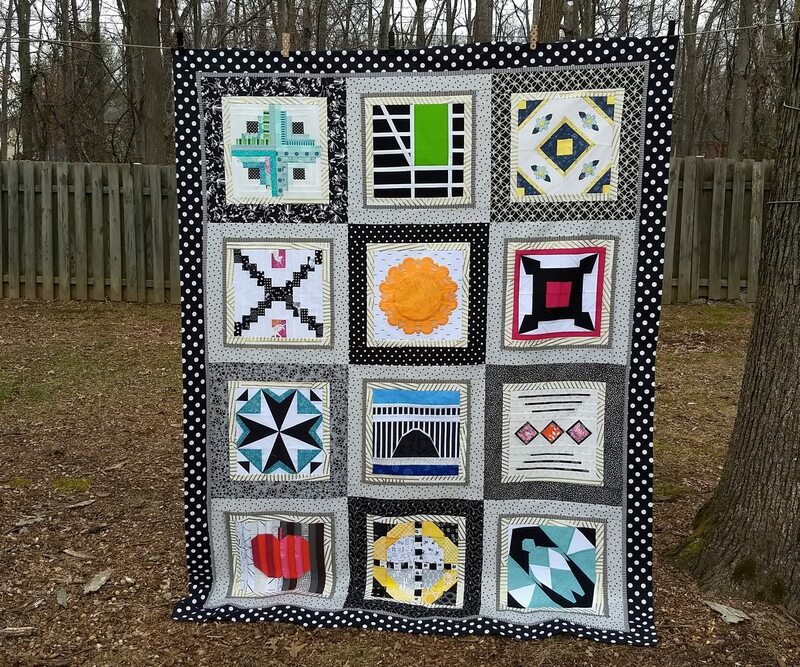 I had a wide range of colors which I love about this quilt. 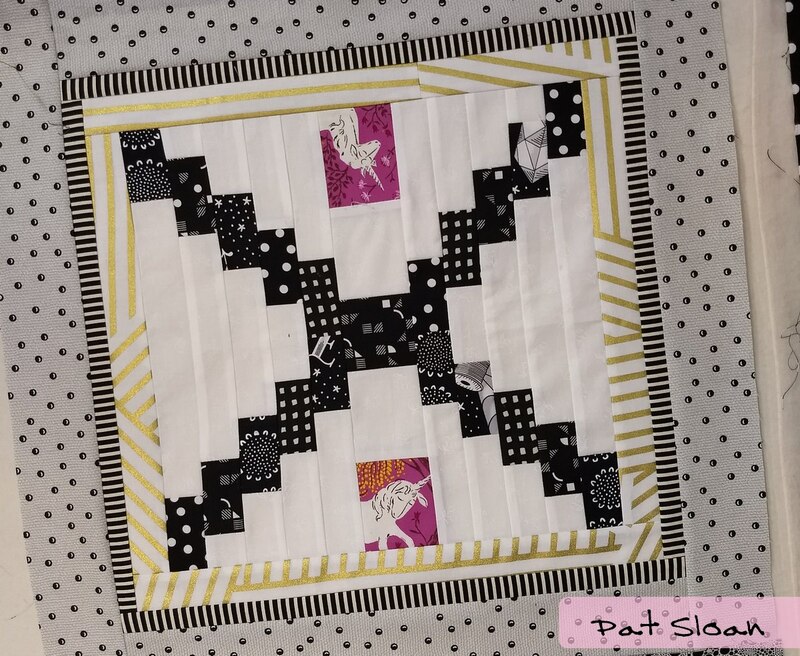 I created 2 different frames for the blocks, alternating the outer frame with black or white prints from my collection of fabrics. It was fun to search through and visit fabrics I’d bought, in some cases, long ago. The amazing Jamie Mueller of Sunflower Quilts is quilting this piece for Aurifil. 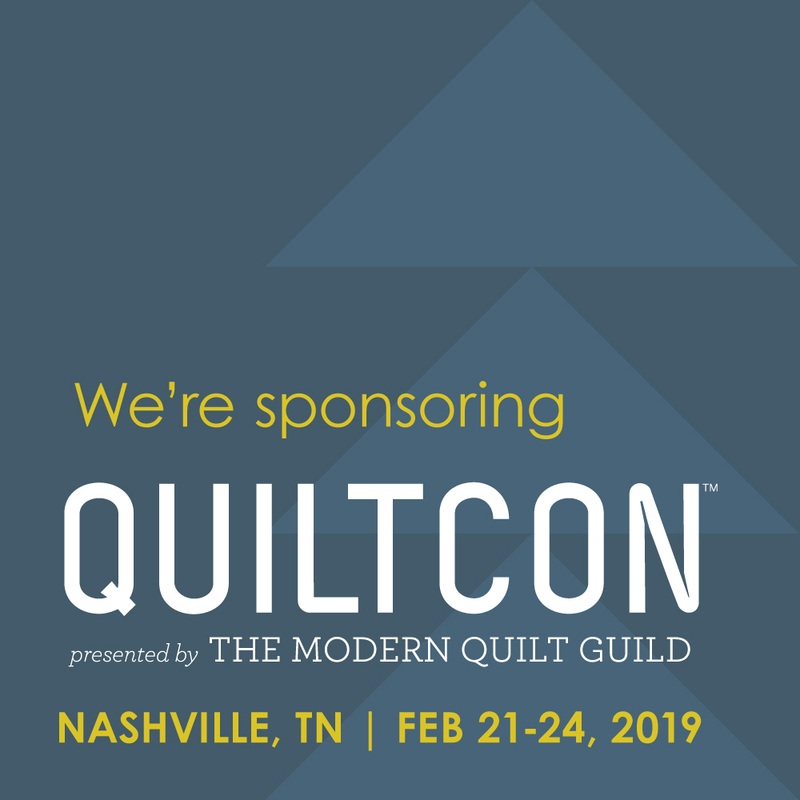 It will then be exhibited in the Aurifil booth at some shows. 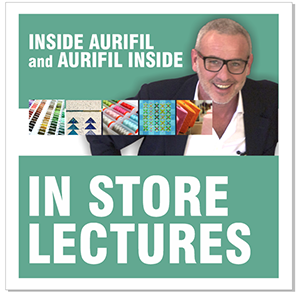 Then it will go to the Aurifil Offices in Milan. Here is a closeup of the triple frame with the white borders. This is the block designed by Rebecca Bryan for 2018. I used a lot more black and white prints in mine. I am looking for a fabric with silver in it. I might do a border of white and Aqua for mine, I’m still debating. What do you think? Definitely go with some Aqua border!